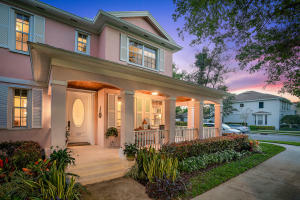 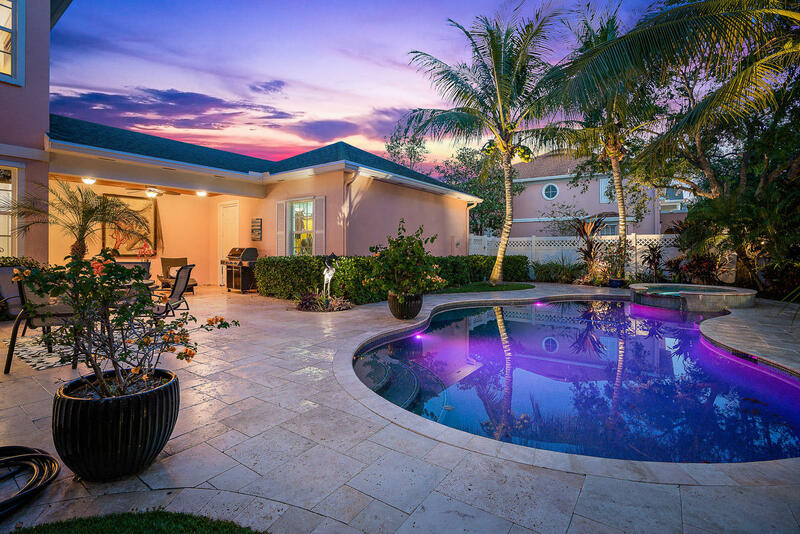 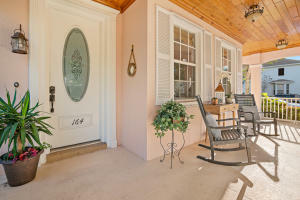 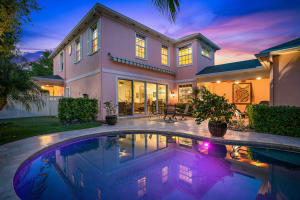 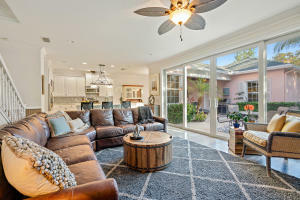 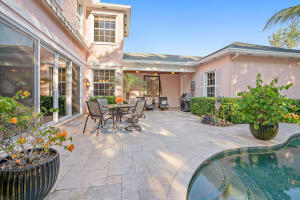 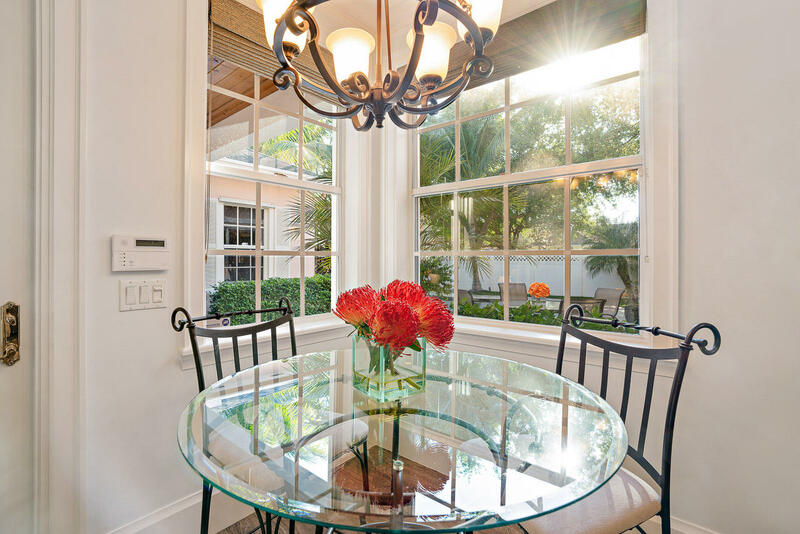 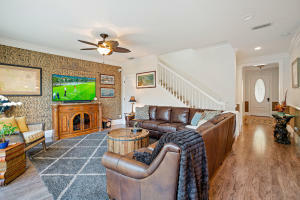 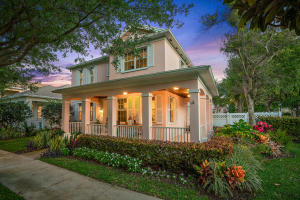 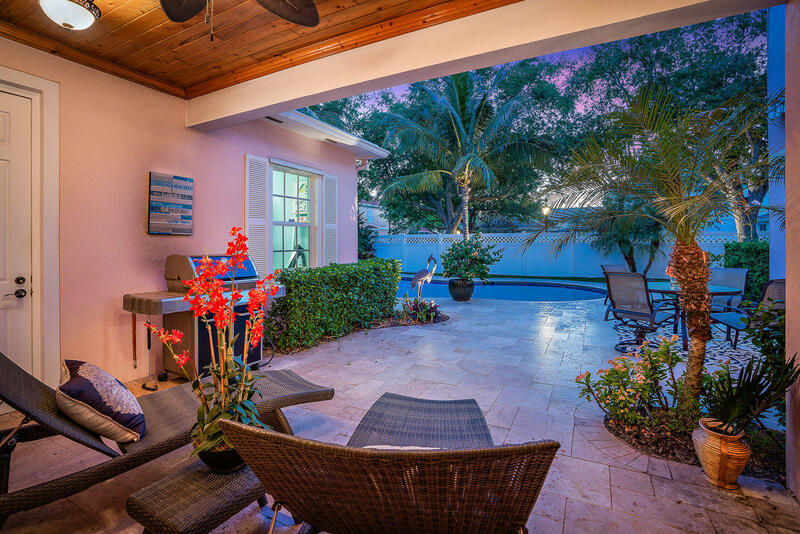 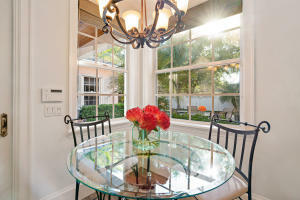 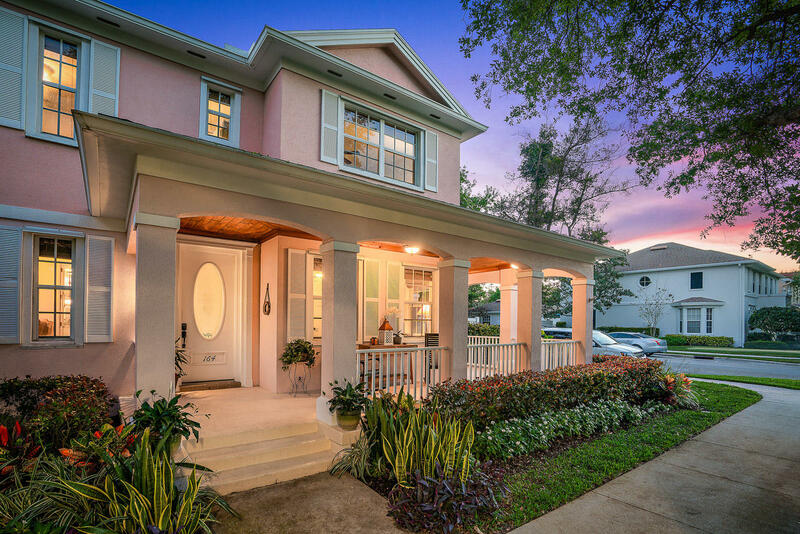 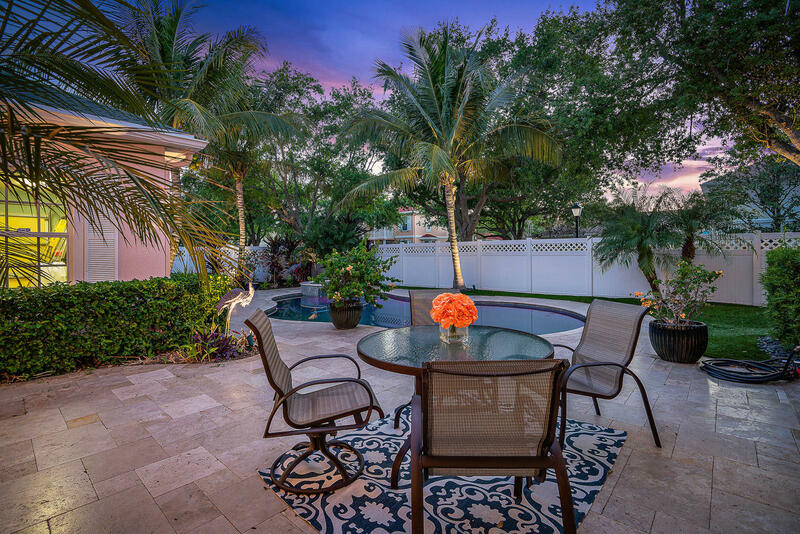 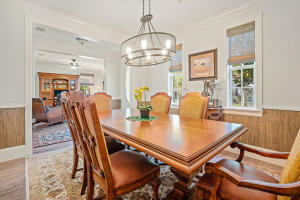 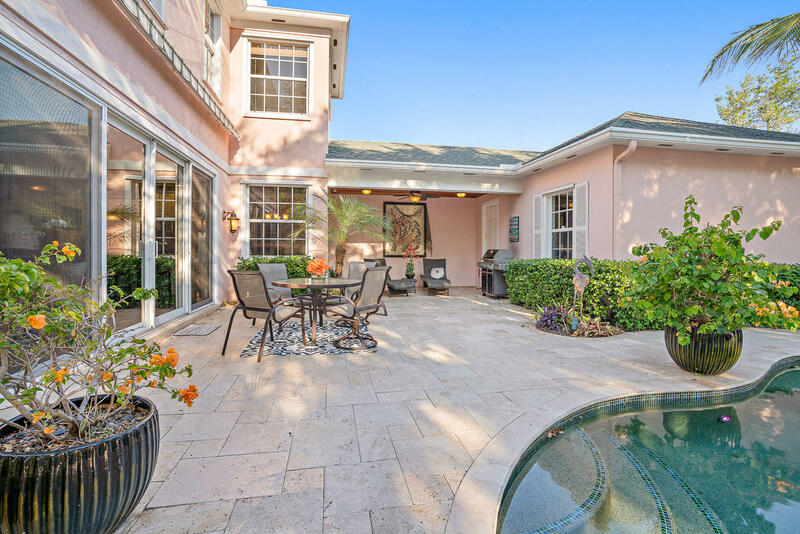 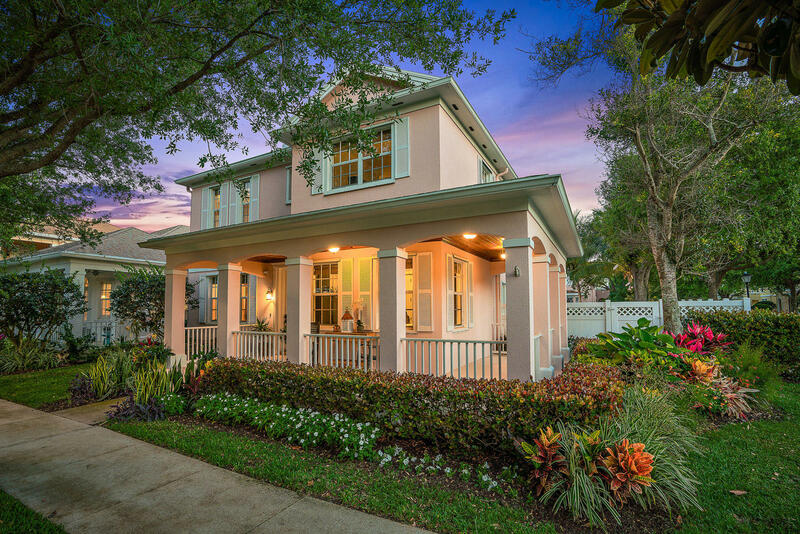 Immaculate and updated in Cambridge at Abacoa. Two rocking chairs are waiting for you on this charming wrap around porch! 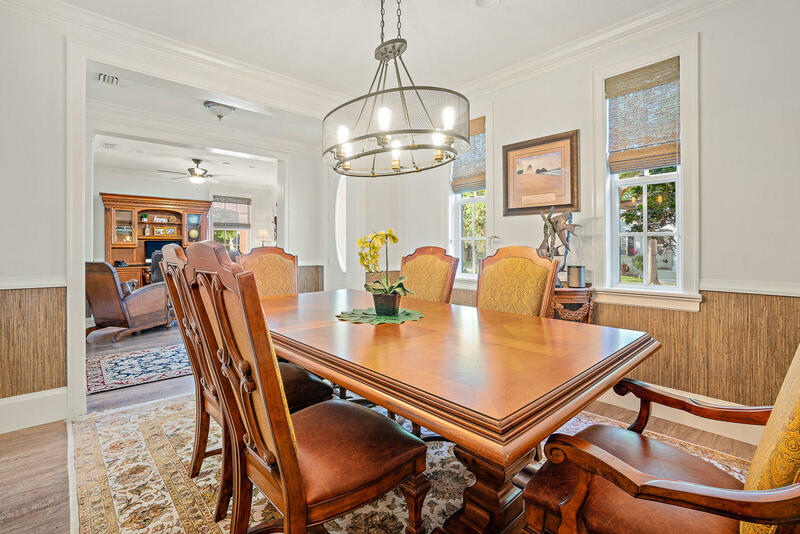 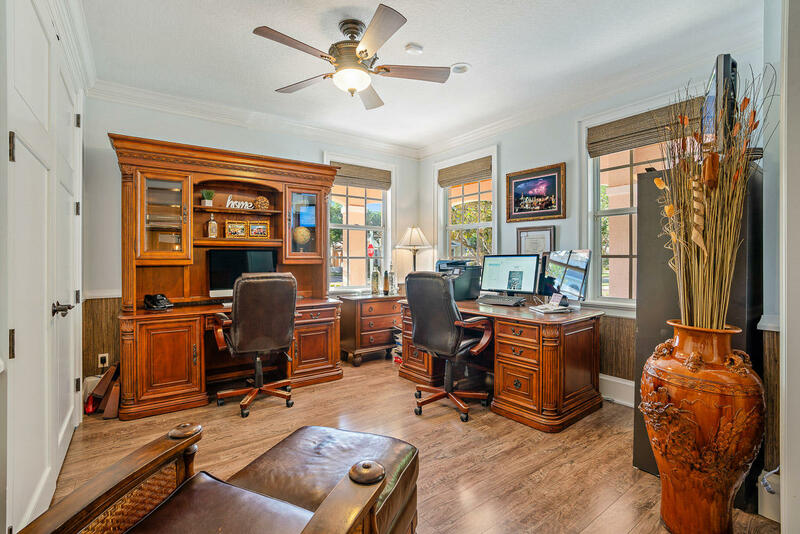 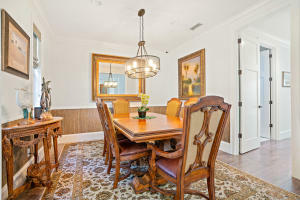 As you enter the foyer, the dining room is to the left and the office (or 5th bedroom) to the right. 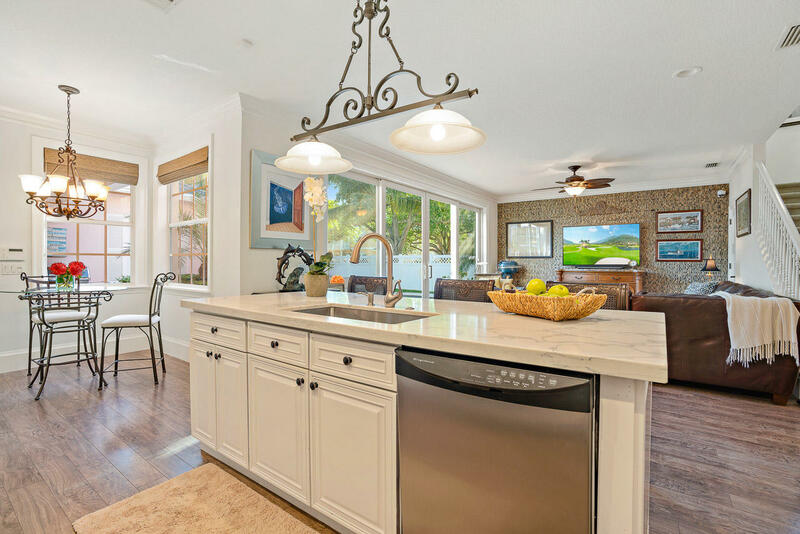 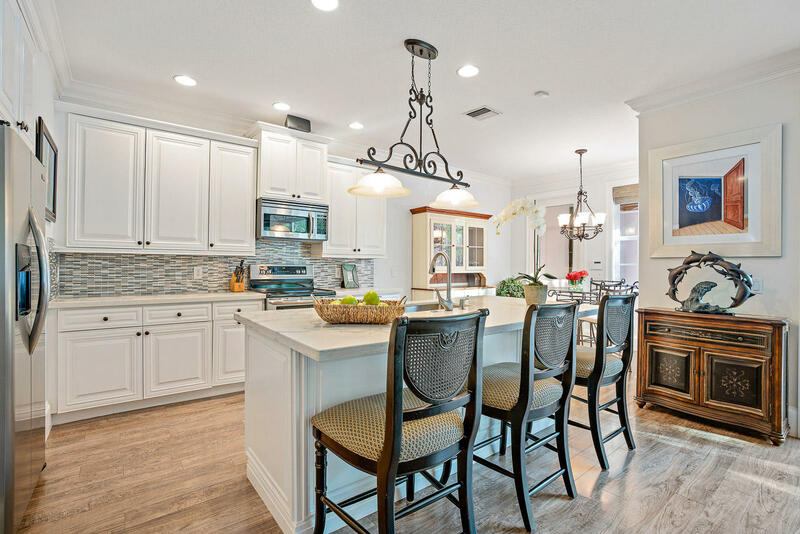 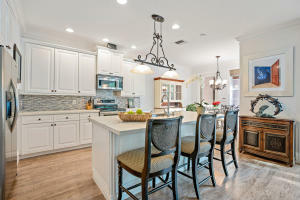 The gorgeous Island Kitchen has quartz countertops, stainless steel appliances and a breakfast nook. 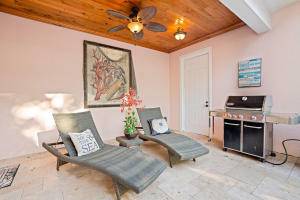 The Great Room's view of the tropical heated Pool and Spa is truly tempting. 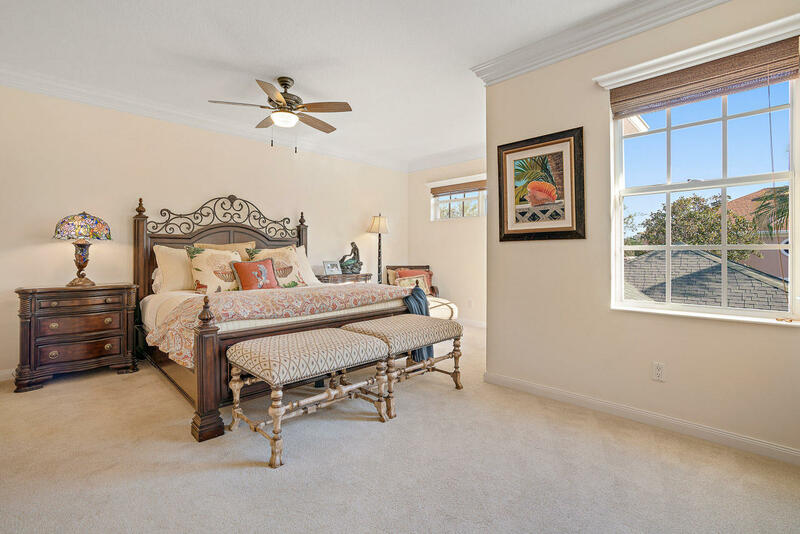 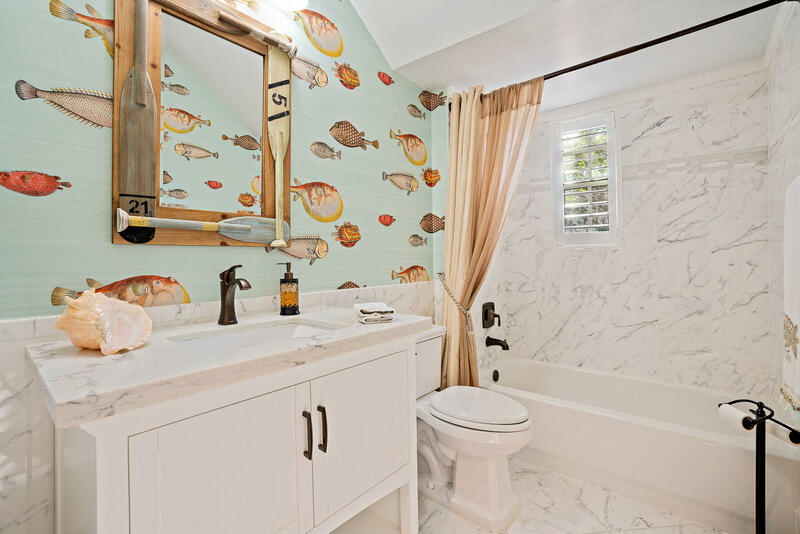 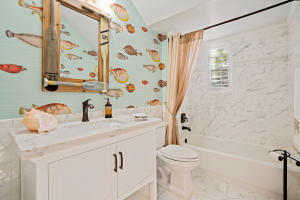 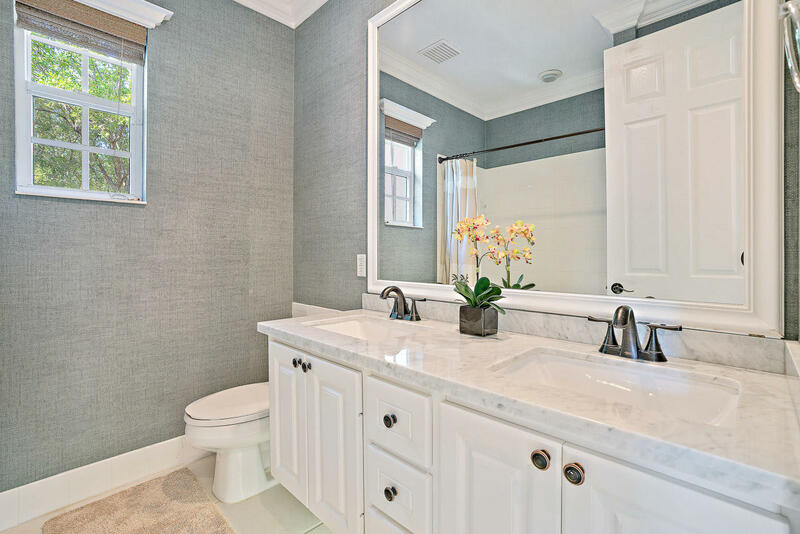 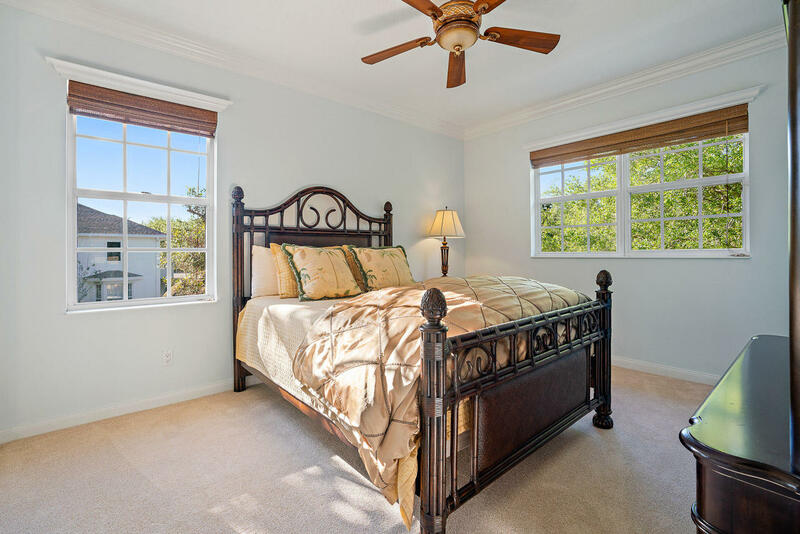 The master suite is generous in size with an updated bathroom. 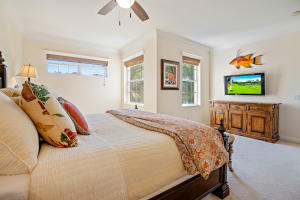 Three additional guestrooms are also located upstairs. 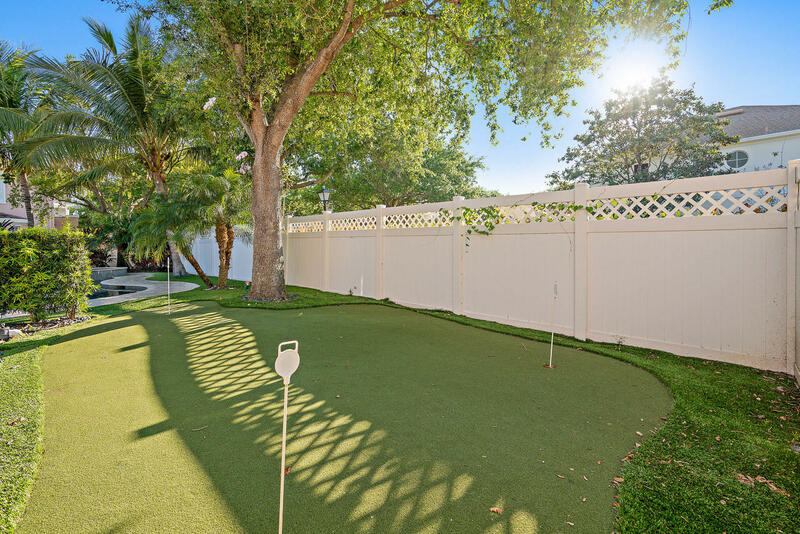 This fully fenced yard includes a putting green and maintenance free ''grass'' you'll never have to mow. 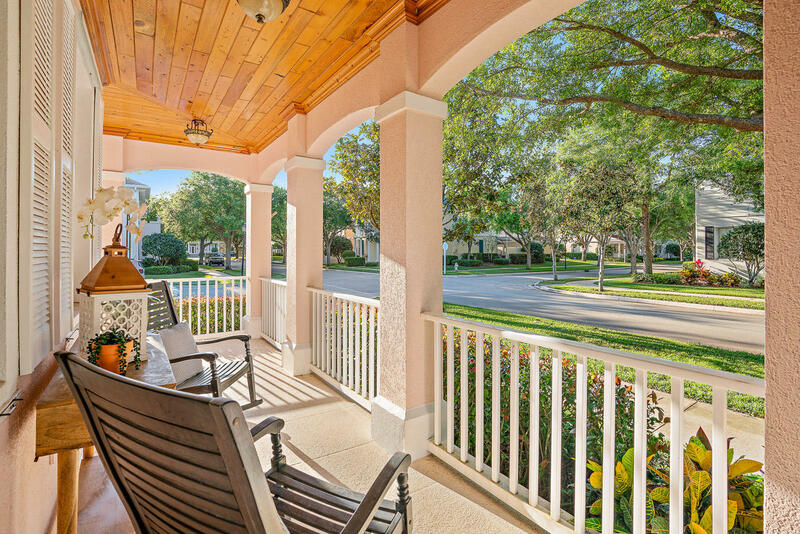 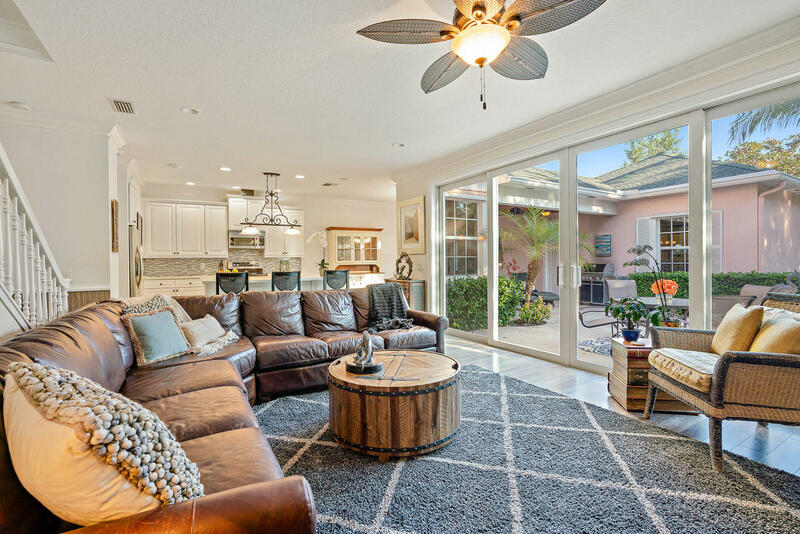 Live close to Abacoa conveniences, with low HOA fees, in a pet friendly neighborhood with amazing neighbors! Donald Ross to Military Trail, North to Promenade Way, west on Promenade Way, 164 is on south side.